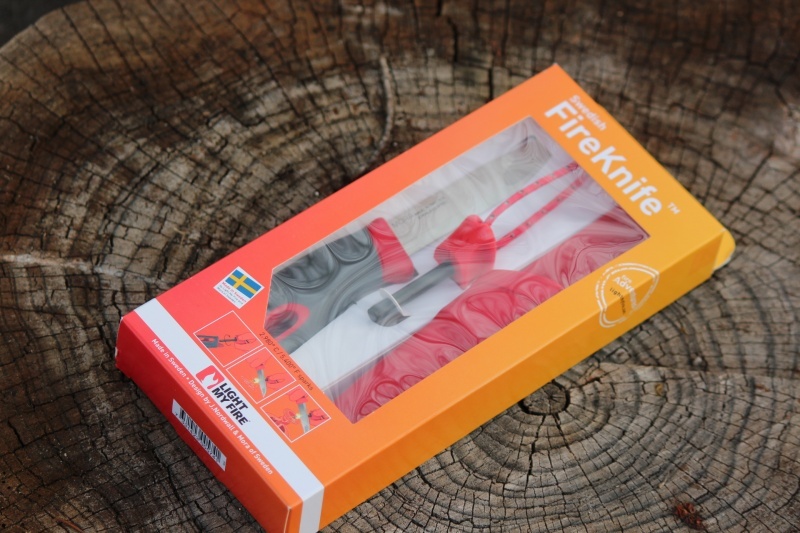 The New Light My Fire 'Fireknife' from Sweden. 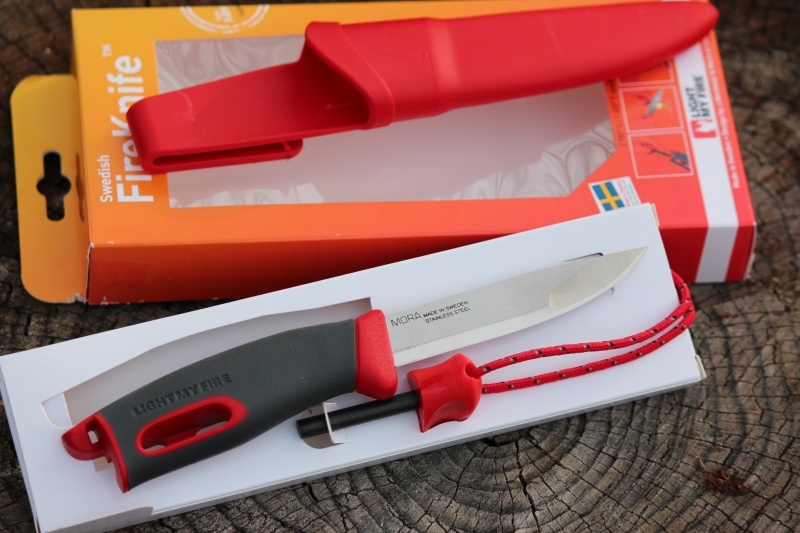 Innovative idea from Mora and LMF (J Nordwall) a quality 95mm bladed (Sandvik 12C27 Stainless) knife with intergrated firesteel in the handle. 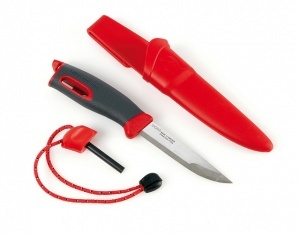 Nice neat package that allows you to carry the firesteel without a seperate holder. The knife is the quality you'd expect from MORA and the firesteel is equivilent to the 'scout' size. Great as an EDC, back-up or Survial kit, ditch kit knife. Has a nice spine edge to throw those sparks!. Blade 95mm 12C27 Stainless 58HRC, scandi grind with clipped tip. Purchase through PayPal by using the "Add To Cart" button above or use the form below to order the Light My Fire Fireknife Red . Feel free to contact us if you have any questions about the Light My Fire Fireknife Red .